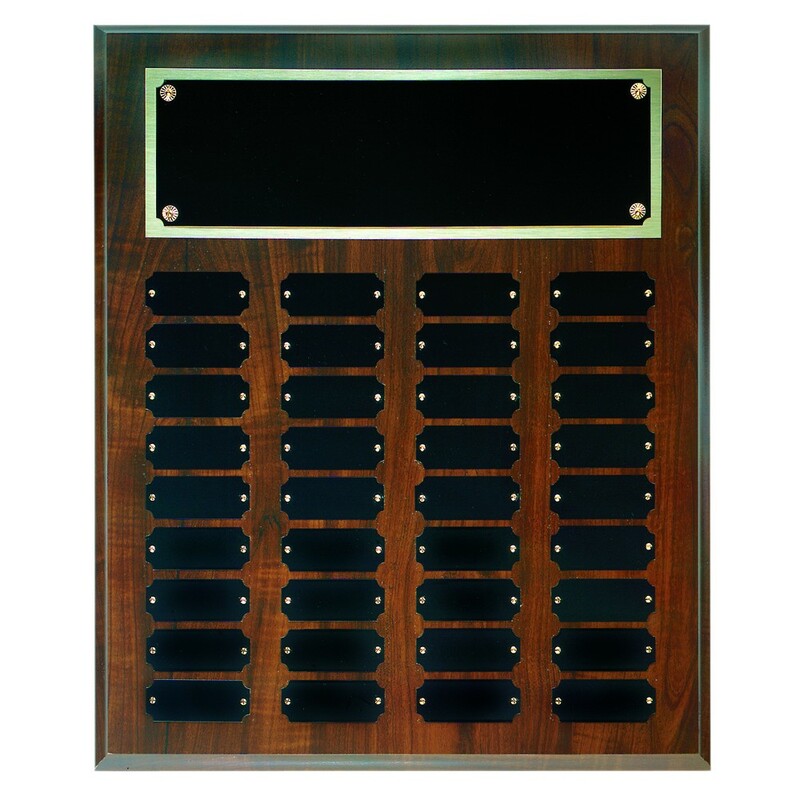 Whether you give recognition yearly, quarterly, monthly, or even weekly, proper display for an earned award is extremely important. 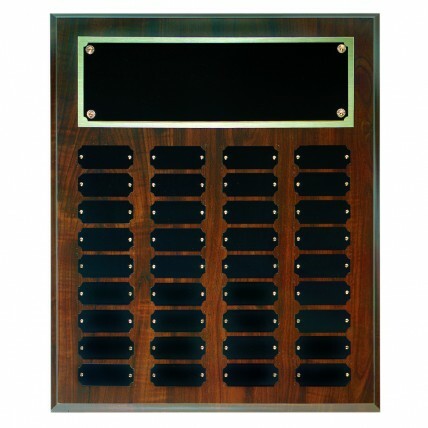 Our Perpetual Corporate Cherry Wood Plaque is an excellent way to display the names of your winners. 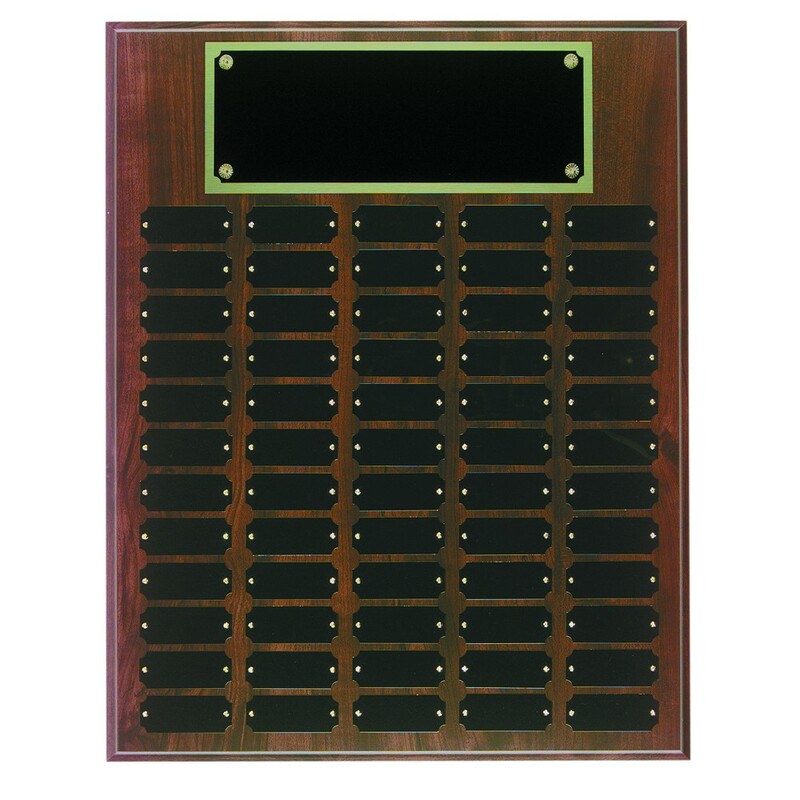 Made of cherry wood, this plaque features a header plate with your organization's name and logo along with individual plates to engrave and display names. 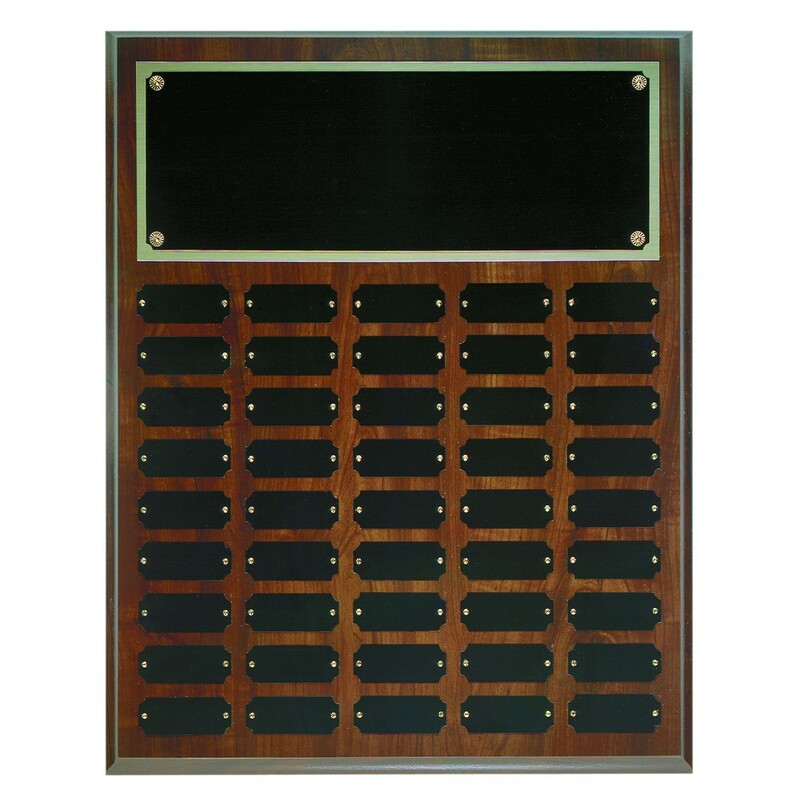 Header plate engraving is included in the price; individual plate engraving is available at an additional cost. 36 individual plates; size 18" x 15"
45 individual plates; size 20" x 16"